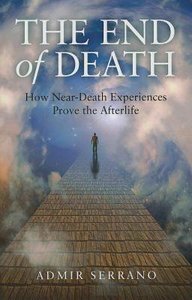 About "The End of Death"
Admir Serrano is a researcher, writer and lecturer on paranormal phenomena such as out-of-body experiences (OBEs), near-death experiences (NDEs), deathbed visions (DBVs), after-death communication (ADC), reincarnation, mediumship and the afterlife. His academic studies include Business Administration, Liberal Studies, Psychology, and Theology. He lectures on this topic in English, Portuguese and Spanish. He lives in Miami, Florida.